Cheerful, easy-going and witty rugby pundit, Brent Pope is an engaging after-dinner speaker whose lessons in sport, mental well-being, sport coaching and media insight gives him an ideal platform to entertain and motivate individuals and businesses alike. Coach and TV commentator, Brent entertains audiences at corporate and private functions with hilarious stories about the characters from his career as a rugby player and coach. Brent also speaks honestly and eloquently about his mental health issues having suffered anxiety attacks for many years. 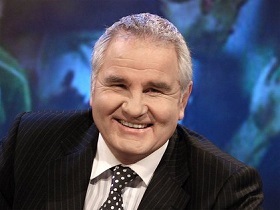 A New Zealand born rugby player, coach and TV commentator, Brent Pope settled in Ireland in 1991 and has worked as a TV rugby pundit for ten years. Brent played rugby with top New Zealand side Otago University before finally settling in Ireland and lining out for three seasons with St Marys RFC. Later Brent coached Clontarf RFC for two seasons, leading them to promotion to Division One of the AIL. Brent can regularly be seen on RTE with George Hook & Tom McGurk. Brent has worked for RTÉ Sport for over 15 years and has also appeared in many crossover programmes such as ‘The Restaurant’ (Irish TV series), and in ‘The Den’, ‘The Afternoon Show’, ‘The Hook and Popey Roadshow’, ‘The Late Late Show’, ‘The Saturday Night Show’, and various travel programmes. Brent also starred as a singer in ‘Charity You’re a Star’ in 2007. In 2012 he learned and played the clarinet for the RTÉ reality music show ‘Instrumental’. Brent was listed at number four in a recent poll for Ireland’s hottest male television stars, and in 2012/13 he was nominated as one of Ireland’s best dressed men. Brent is also a children’s author having published his fourth children’s book, Arnold the Anteater last Christmas the proceeds of which went to Children’s Hospice Homecare. Brent is also available to MC events from start to finish and orchestrate action packed quiz nights. To book After-dinner speaker Brent Pope or to talk to us about your corporate event requirements, either submit the enquiry form, email us: info@carolandassociates.com or call us on 087 718 1360.